The Hyper Text Transfer Protocol (HTTP) is the backbone of the World Wide Web. Wikipedia defines HTTP as an “application protocol for distributed, collaborative, hypermedia information systems.” Wait, what? Basically, it describes how data is encoded and transported between web servers, and clients (i.e. web browsers such as Chrome or Firefox). TCP multiplexing: Resources such as images can be downloaded over a single connection to the server. Previously multiple connections were required. Server push: Web servers can ‘push’ resources to a client without the need for the client to explicitly request them. Header compression: Every HTTP response contains ‘headers’ which provide information such as the length or type of information received. Many of these headers are the same across many resources, and every header adds extra bytes to the response. HTTP/2 compresses these headers when it can to reduce the amount of excess information. So what do all of these things mean, exactly? They mean that HTTP/2 is way faster than HTTP/1.1. and will make your browsing experience much slicker. 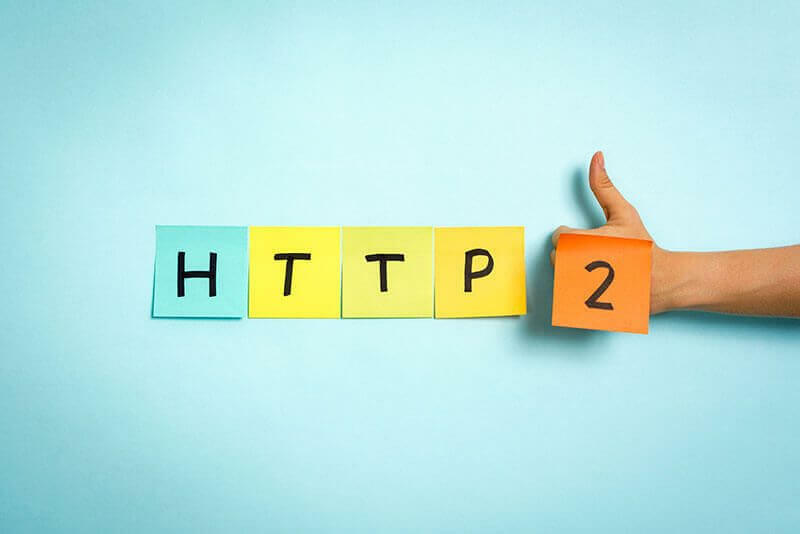 HTTP/2 is supported by the latest versions of all major web browsers. Luckily, HTTP will fall back to version 1.1 if the new release is unsupported by the client.